Clear facts and explanations of SCE rates and schedules is hard to come by. It is also tricky to discover which is best to use for solar. Forecasting rate increases is difficult, but how these increases affect solar savings is very important. This page contains information about current Southern California Edison rates (residential), including regular and SCE Time of Use rates (TOU). It explains the basics about rates and their time periods. Then it goes on to give the best available forecast for rate increases to come, and the differences all these make for solar owners and shoppers. SCE rates change frequently: five times last year for the TOU-D-A schedule. Overall, they keep rising every year, as this article in the Daily Sun illustrates. But knowing how fast they are expected to rise over the next decade or more is very important for many people. The increases compound, producing results that surprise many people. ​For example, if they increase by 3% per year for the next 20 years, that is an increase over today's rates not of 60% but of 81% due to yearly compounding. Imagine your present electricity bill 81% higher than it is now. Not a pleasant thought. However, although various independent researchers have investigated this problem for years, it turns out to be difficult to solve. Forecasting SCE's (or any utility's) rate increases is fraught with problems. 2. Download the free Solar Buying Guides for the best possible shopping guidance. 3. For answers to your questions or personal shopping advice, try the free phone or email service. No sales; no pressure; no contact information disclosed unless you specifically ask me to connect you to a single dealer. If you don't have solar, you are probably on rate schedule D (Domestic). This is what is called a "tiered-rate schedule," because it has 3 tiers of rates. The lowest rate is for electricity you use up to your baseline amount each month. The second tier is for usage between the end of your baseline amount up to double that baseline amount. The third, highest-rate tier is for usage above the end of the second tier. The differences in these rates are significant, partially because they are meant to encourage conservation. As of June 1, 2017, they are identical for summer and for winter, which is weird (a CPUC regulatory mistake, actually). The differences between these rates used to be higher, but have been declining each year. Solar owners should, in almost all cases, opt for a rate schedule called Time of Use (TOU), because it will save the most money. For solar that went online after June 30, 2017, a TOU schedule is mandatory. ​You have to call SCE yourself to pick a rate schedule, once SCE has approved your installer's application for your system. It is important to do this as soon as possible, because there's a waiting period before the new TOU schedule will go into effect, and you want it to start as soon as your system is turned on. SCE suggests TOU-D-A if your usage is under 700 kWh per month, and TOU-D-B if over 700 kWh per month. But this does not take Net Metering into account, and is bad advice for solar owners. Solar owners whose system turned on before July 1, 2017 are on the Net Energy Metering 1.0 (NEM-1) tariff. For an average annual bill of $2,400 before you got solar (which indicates how much electricity you use), Schedule TOU-D-B with solar would cost you about $676 more than TOU-D-A with solar. A customer with usage that cost $1,200 per year before solar would pay about $590 more with solar under TOU-D-B than TOU-D-A. One with a $7,200 annual bill before solar would spend about $1,022 more under TOU-D-B than TOU-D-A. The same comparisons between TOU-D-B and TOU-D-A apply to NEM-2 customers. The higher costs under TOU-D-B would just be a bit less than they would under NEM-1. SCE's published guidelines suggest TOU-D-T for "high-usage and self-generation customers," but this is wrong. For NEM-1 customers, TOU-D-T would cost about $340 to $380 more than TOU-D-A. Customers under NEM-2 would face higher extra charges under TOU-D-T than those under NEM-1: between $520 and $680 per year, depending on the distribution of their usage over the days and seasons. Under TOU-D-T, how much extra you pay over Schedule TOU-D-A doesn't depend much on how much electricity you use. The CPP (Critical Peak Pricing) options only come into effect for twelve days a year, so they won't make much difference in annual costs for most solar owners. And the PTR (Peak Time Rebate) program doesn't work well for solar owners, usually saving little or nothing. Finally, there's TOU-DPP (Domestic Pilot Program). This is too difficult to evaluate, because you don't know which of the three options you'll be randomly assigned to, or whether you'll be assigned to the control group (probably on DOU-T-A). You can discuss it with SCE and try it yourself. You may be eligible for "bill protection," designed to prevent you from paying more under this pilot program than you would have under DOU-T-A, but SCE doesn't promise this protection. Caveat emptor. For most solar owners, the most economical option will be TOU-D-A (option A). Here's SCE's current Residential Time of Use Rate Schedule TOU-D-A. But it's possible that for an unusual owner, one of the other options may be a bit better, either because their usage is very high or because their daily pattern of usage versus generation is quite unusual. SCE offers an online Residential Rate Comparison tool, but it doesn't work for Net Metering customers (at least up to now), so it's no use to solar owners. You can try calling the SCE Net Metering department at (866) 701-7868. They may be able to help you decide, but they may not be sophisticated enough to get it right. Notice that the differences in rates between these times of day are much greater than the differences between tiers in rate schedule D. This is advantageous for solar owners. For help understanding how all this is presented on SCE bills for solar customers, you can see our article SCE Bill Help. It explains things on the bill that SCE doesn't make clear. The best forecast of SCE's rate increases is by the University of California at Davis. * Even this comprehensive and careful report says on page 33, "Forecasting long-run electricity prices is an incredibly difficult task that is rife with uncertainty regarding assumptions about key variables." The study estimates SCE's "nominal" (in inflated $) rates will increase by an average of 3.4% per year if natural gas prices remain low, and 4.8% per year if high, or even more if gas prices go up further. It also cites the U. S. Energy Information Administration's (EIA) estimate of 1.9% to 3.4% per year from 2013 - 2040, as well as the Greenhouse Gas (GHG) estimate of 3.5% to 6.3% per year from 2008 to 2020, but somewhat less than that for SCE. But it also says that EIA has a history of underestimating increases, while the GHG model is "much less sophisticated and built on older data." From the study, a reasonable estimate of SCE average, nominal, future rate-increases is about 3% to 5%. The study also used an inflation estimate (see Inflation) of 1.8% (a pretty low estimate), which is included in these rates. That means the "real" (after inflation, as opposed to "nominal") rate increases are likely to be between 1.2% and 3.2%. With a somewhat more likely rate of inflation (3%), the real increases are likely to be 0% to 2%. For our example homeowners and their system, the difference between these two rate-increase percentages means almost $12,000 in additional utility costs over twenty years, in today's dollars - quite a significant difference. One of the reasons frequently cited for acquiring a solar, photo-voltaic (PV) system is that utility rates keep going up - nobody knows how fast - so having your own source of electricity protects you against higher charges in the future. Projecting your savings into the future depends greatly on the assumed annual increases in utility rates. The faster rates increase, the more you save by having your own PV system. ​Solar vendors regularly grossly inflate the forecasted percentage of rate increases in their ads and quotes to make buyers' savings look better. Other solar estimators and calculators give erroneous predictions of your savings over time - usually exaggerated. This is partly because they do not limit themselves to SCE customers. Therefore, they are forced to average among various utilities with different rate structures and different forecasted rate increases. 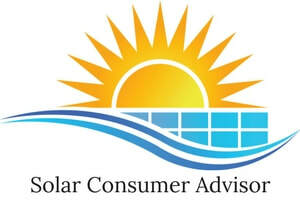 Solar Consumer Advisor uses a safe figure of 3% "nominal" average rate increases for SCE - the low end from the study. This forecast is fully taken into account fully in our Solar Panel Cost & Savings Calculator. To get an idea of how much difference in savings different assumptions for rate increases make, let's consider our typical example homeowner with the $200 per month SCE bill. If rates didn't increase at all in the future, their 20-year savings would be reduced by more than $11,000, compared to our assumed 3% increases. But if rates increased by 6% per year, their savings would rise by almost $16,000, compared to the 3% assumption.. And these differences would expand beyond 20 years, because a good system will last well beyond 20 years. At 40 years, 0% would cut savings by almost $38,000, while 6% would increase them by over $78,000! * Jonathan Cook, Ph.D., "The Future of Electricity Prices in California: Understanding Market Drivers and Forecasting Prices to 2040," University of California Davis Energy Efficiency Center, December 2013.